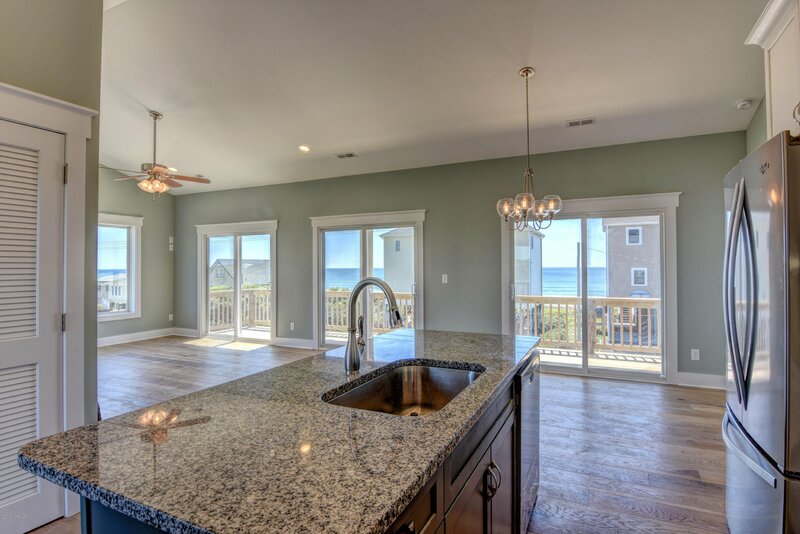 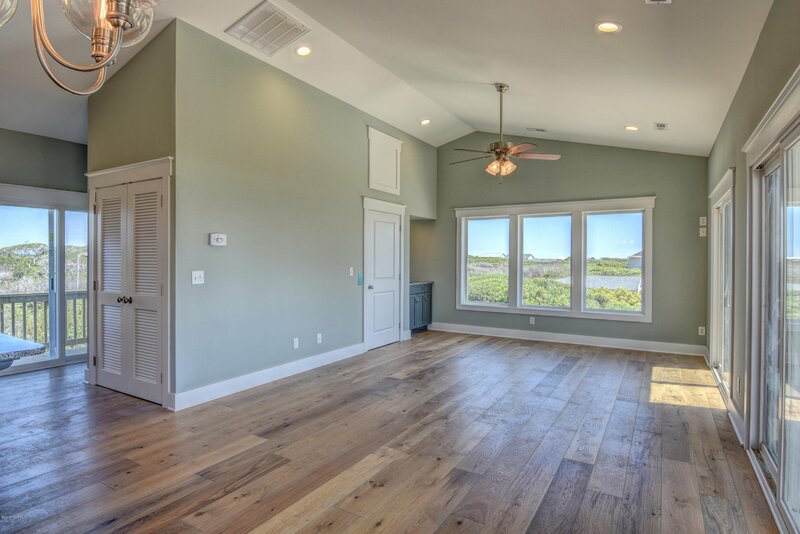 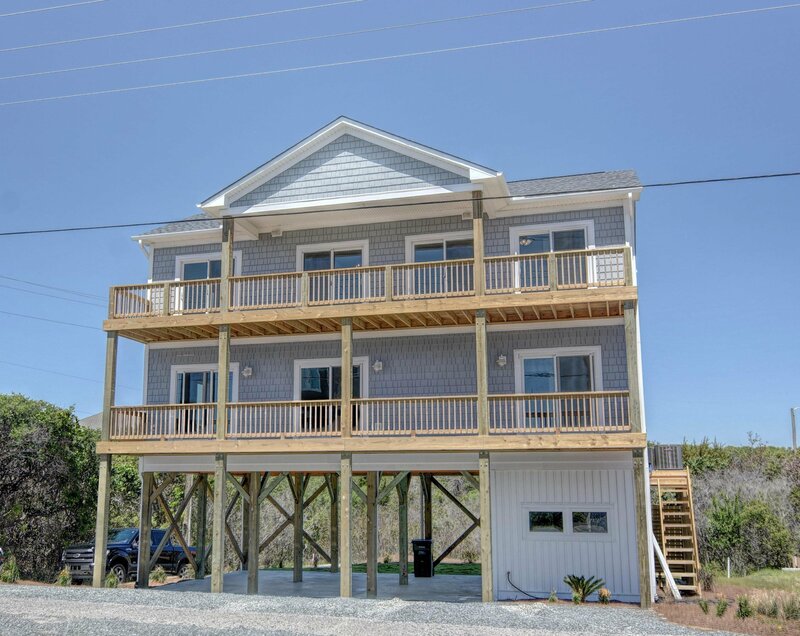 Enjoy beautiful views of both the ocean and sound from this custom built home. 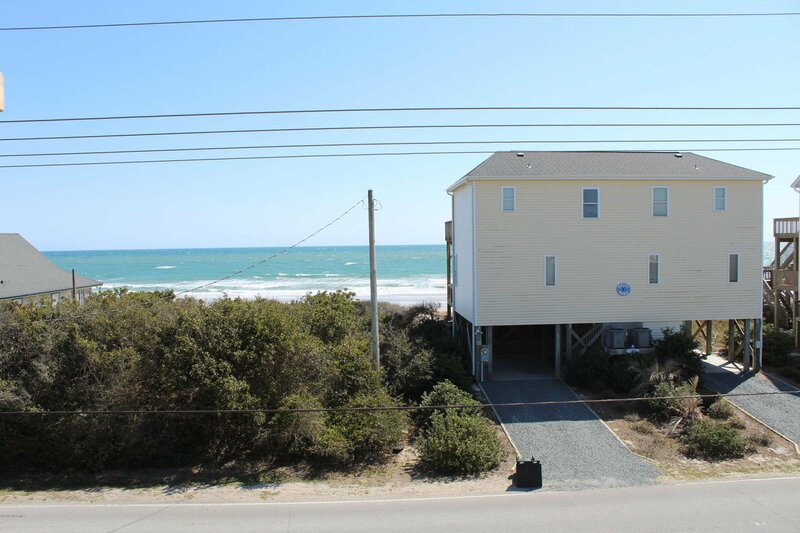 There is a private deeded beach access across the street. 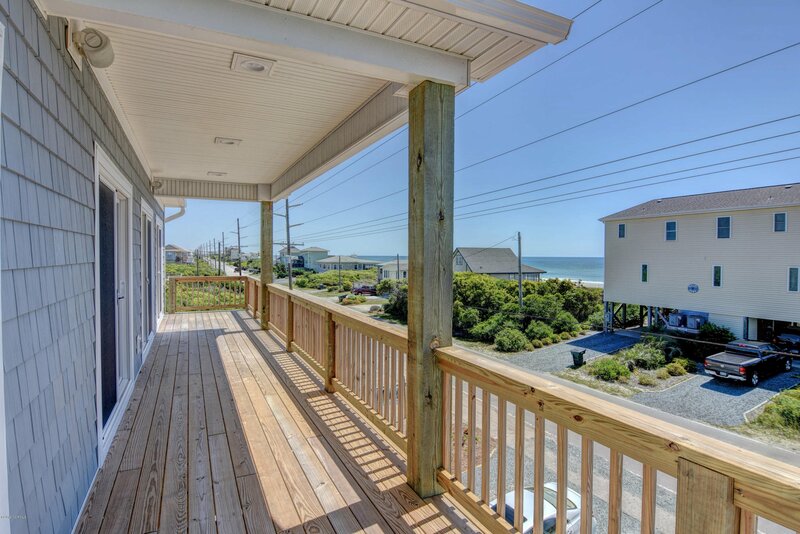 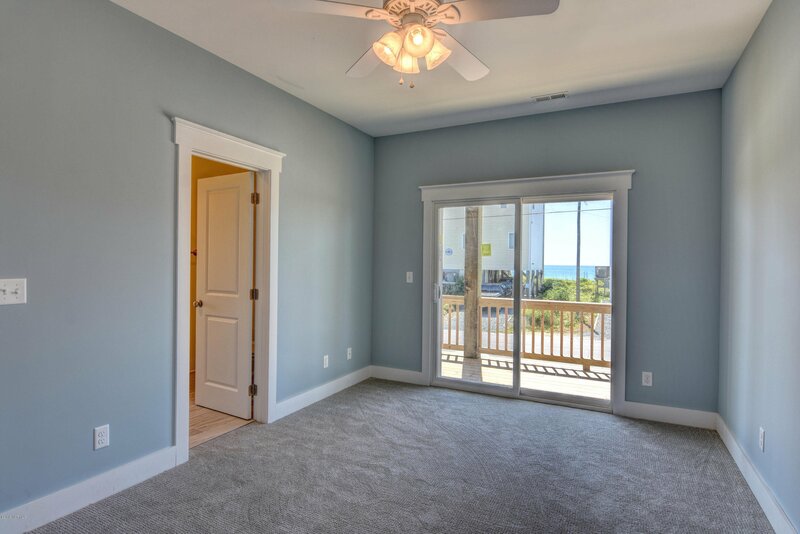 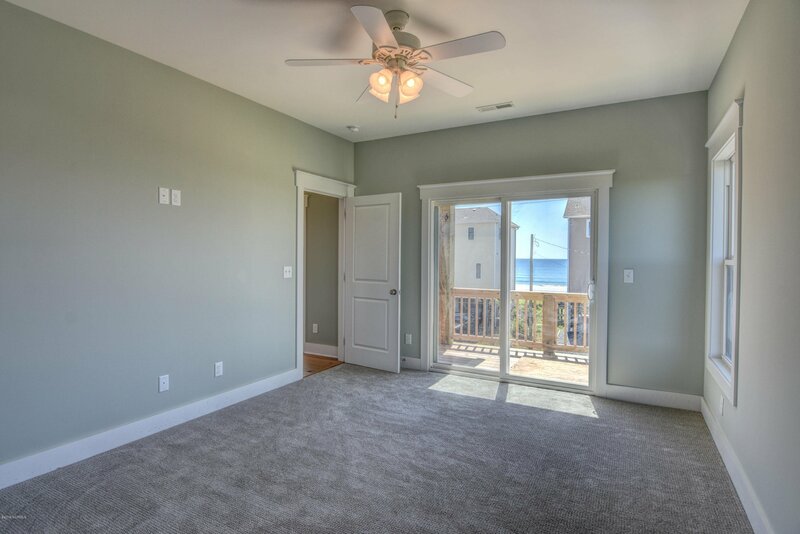 The home features 4 bedrooms, all of which have access to a deck with ocean views. 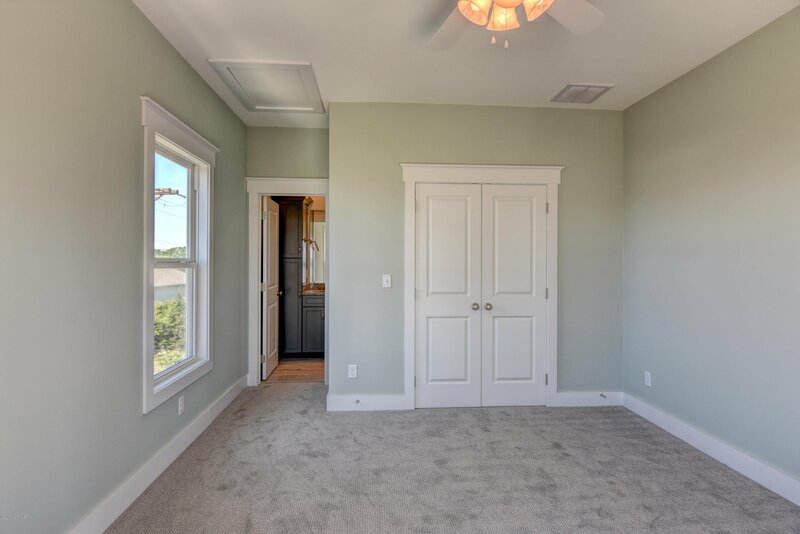 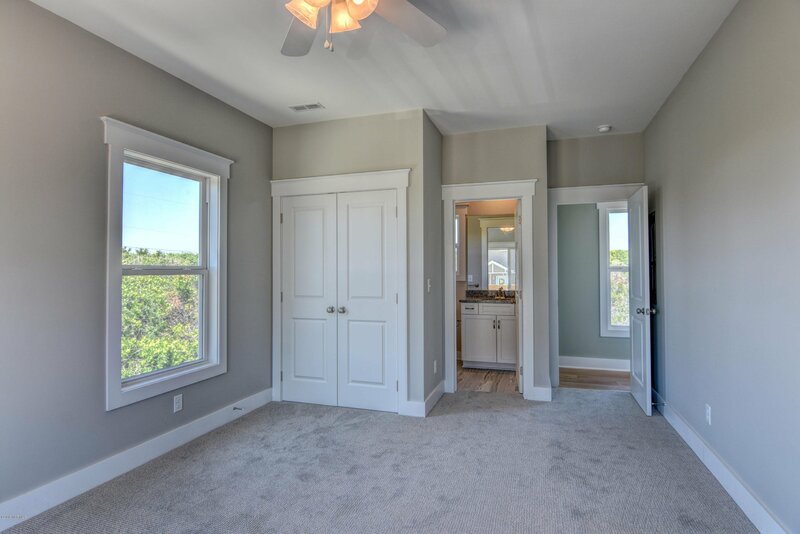 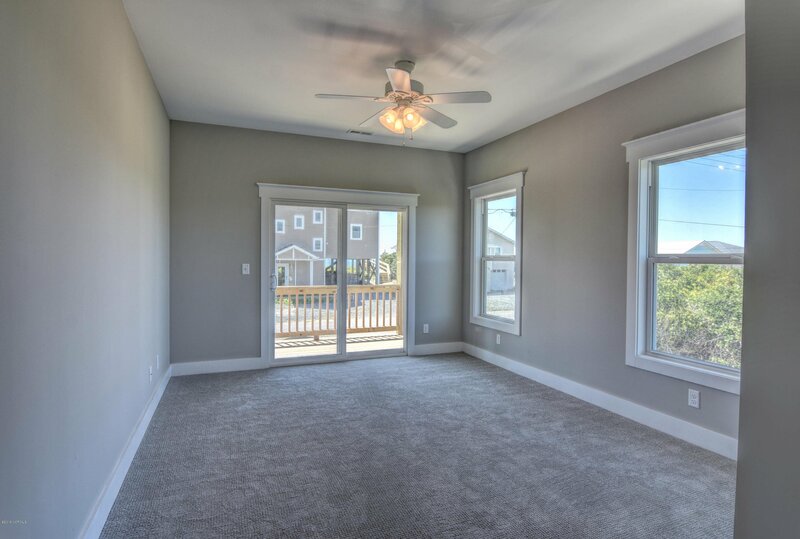 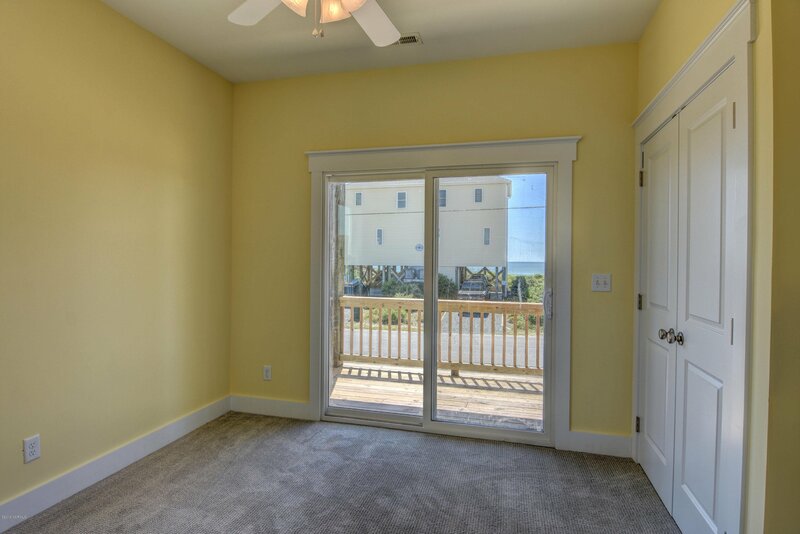 This floor plan will make a wonderful rental with two private full baths, one full shared bath and a half bath upstairs. 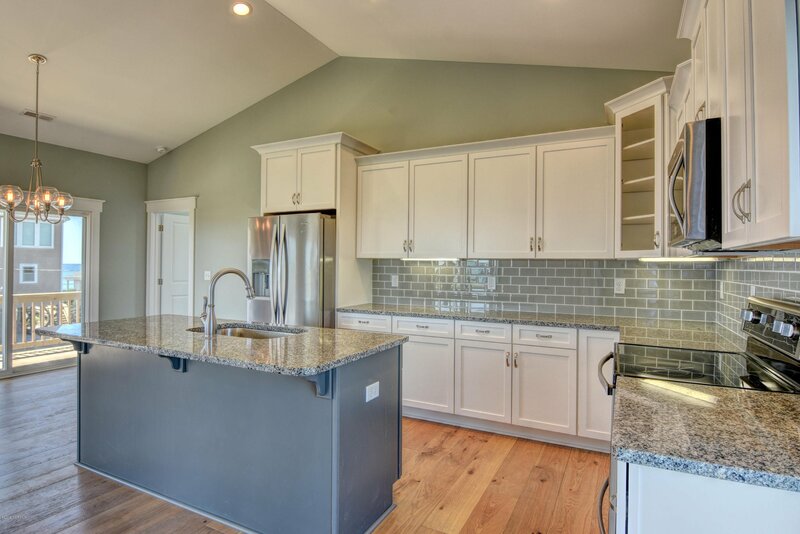 The kitchen has custom cabinets with under cabinet lighting and granite counter tops. 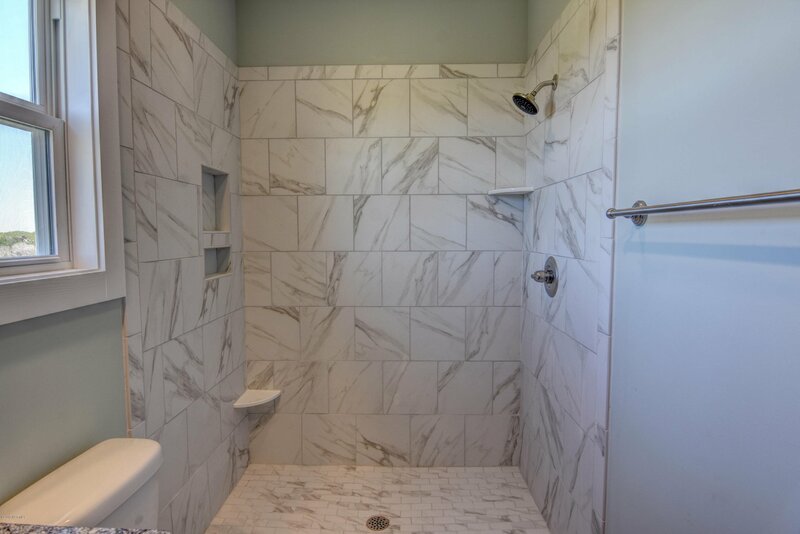 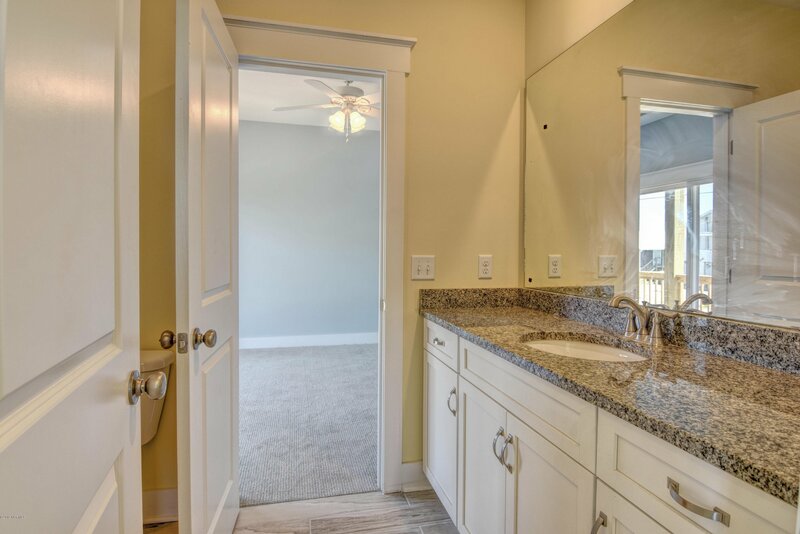 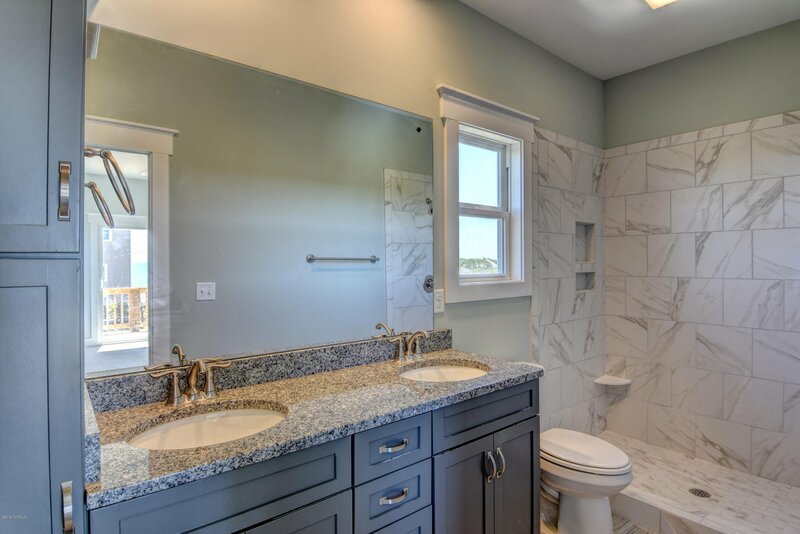 All of the bathrooms as well as the wet bar have custom cabinets and granite counters. 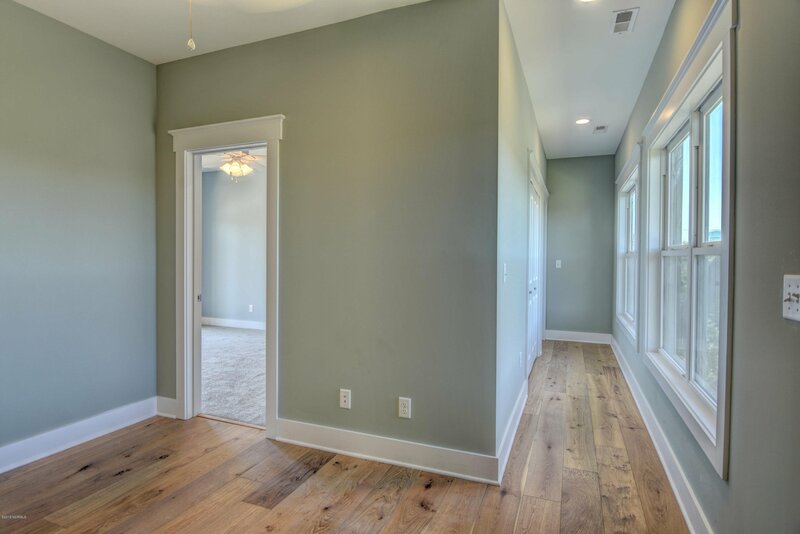 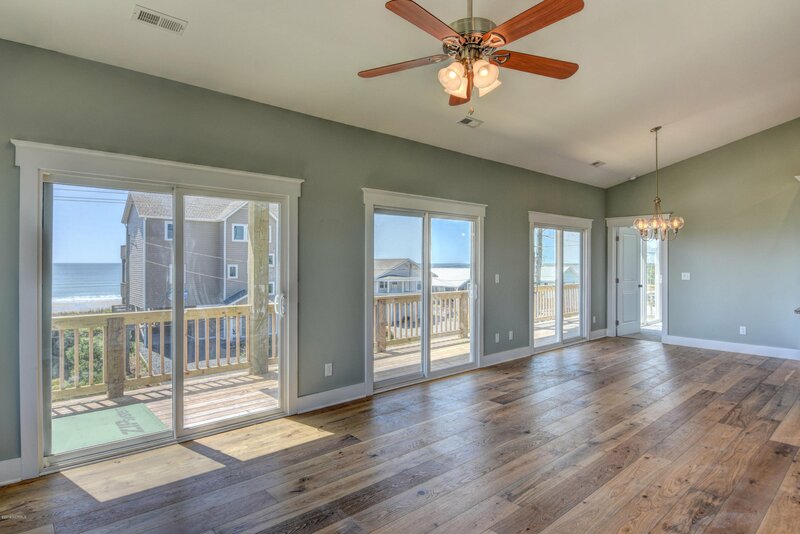 Beautiful wood floors in the open concept kitchen, dining and living room. 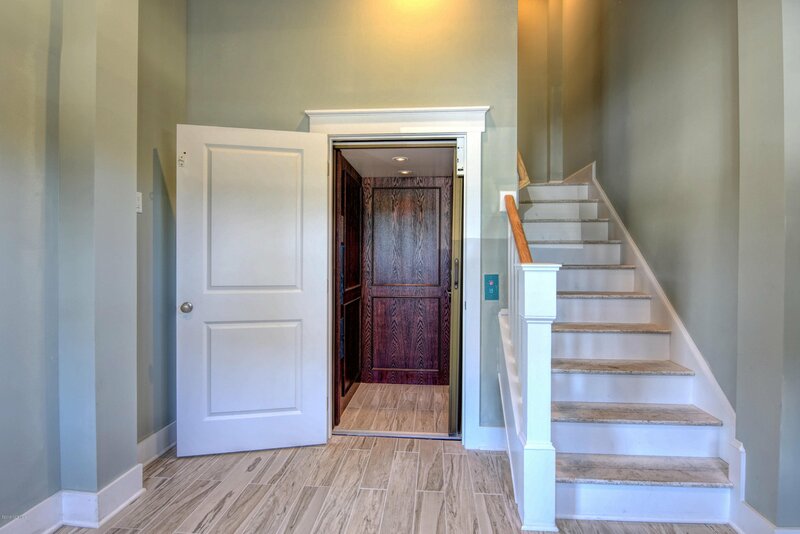 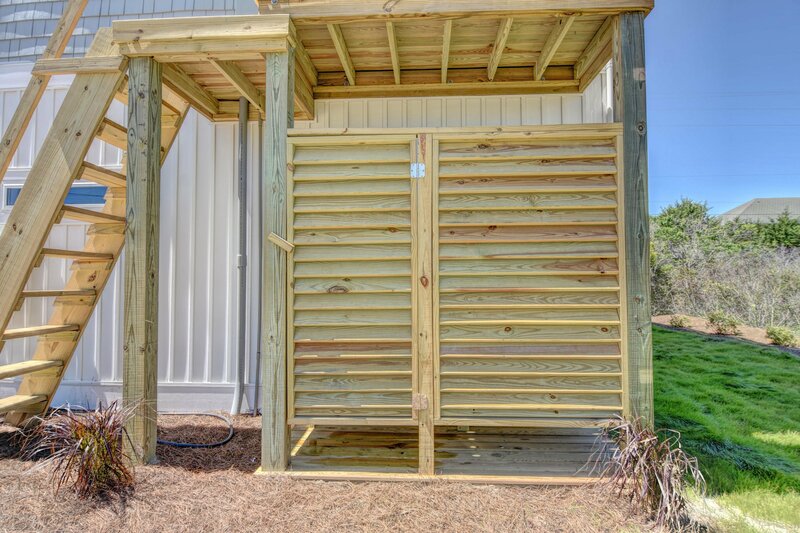 The home also features an elevator and outdoor shower.